Today’s #HealthCareChat hosted by @EricDemers (CEO of Accreon) and @nextwaveconnect covered the topic of using Customer Relationship Management (CRM) tools and processes in the healthcare space. Here’s a semi-formatted transcript of the chat – courtesy of @Symplur. Topic #1: How can healthcare providers use a mix of digital tools for innovative care delivery and patient communications? @awareseniorcare - Innovative tech coming out more and more every day. So many possibilities with mobile as far as patient data and care. @awareseniorcare - Some apps coordinate care and manage caregiving schedules; only issue is working out the privacy concerns. @ericdemers - Actively engaging providers and patients through mobile devices can improve the patient experience. @carey_smith - All relevant info, such as patient encounters, care team notes, clinical results, etc, can be accessed in one location. @visionwaremdm - Agree w/. @rtoleti 2 meet them where they are. ppl are also addicted to TV, healthcare needs to get into their living rooms! @awareseniorcare - @Carey_Smith Possibility for true interoperability if managed/coordinated correctly. @carey_smith - Agreed @rtoleti. Personalized communications when and where patients are. @steven_paul - <3 the idea of #PateintEducation between appointments. This is a big help for new parents and those with young children. Topic #2: What is a #CRM and how can it help break down silos and integrate information? @ericdemers - CRM integrates all your organization's data sources to create a single, holistic view of each patient. 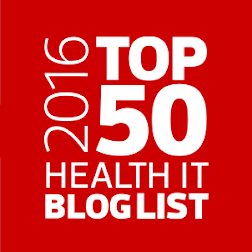 @ericdemers - CRM and EHR functionality are merging with the potential for greatly enhanced customer service. 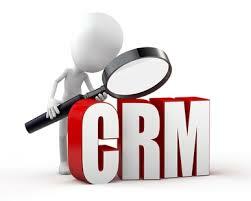 @steven_paul - #CRM bring fast and effective organization to Patient management. Sorry manilla folders....I'm seeing someone else. Topic #3: Have you considered using a #CRM to manage your patient population? What signs indicate this should be considered? @ericdemers - Pop health requires effective engagement and ongoing, persistent collaboration with people at the individual level. @carey_smith - CRM allows patients & providers to share info that will allow them to stay ahead of medical problems. @carey_smith - Multi-channel support via email, chat, and web allow for real-time access to personalized care. @awareseniorcare - Haven't seriously considered, but seniors see a lot of different physicians/specialists/etc. Could be more efficient. @awareseniorcare - (cont) But again, that's assuming security/privacy aren't compromised. @thenerdynurse - CRMS help to balance the the medical care with who the patient is and what the patient needs. @ericdemers - If you organization has trouble keeping track of patient/provider interactions, CRM may be the solution. @carey_smith - Key: Sending the RIGHT personal message to the RIGHT device at the RIGHT time. 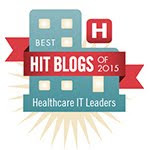 @rtoleti - @drkdhoffman CRM and EHR co-relationship, yes! @verbalcare - #CRMs could help everyone be on the same page and optimize the care process. Faster, more accurate, etc. @drkdhoffman - 98% of people open their text messages within 3 minutes. How does that compare to other mediums? @verbalcare - #CRMs should be patient centric though. Topic #4: Could a #CRM help you understand your patients better and give you a competitive advantage in the healthcare market? @ericdemers - 71% of millennials want their DR to provide a mobile app to manage preventative care, health records, and appointments. @ericdemers - Providers need new ways to connect with patients and deliver info in a cost effective, easy to access & simple manner. @ericdemers - Satisfied customers come back, provide referrals, learn the customer role, accept advice and adopt new offerings. @drkdhoffman - And Does the CRM integrate with #EHR? @carey_smith - CRM enables information sharing and communication that go far beyond what’s available through other patient portals. Topic #5: Is it possible to make patient care more personalized and increase profit? @awareseniorcare - With social media growing, more than ever. If PT feels invested/trusts your methods, they become advocates for you. @ericdemers - Healthcare orgs need to leverage data to provide better care, develop new lines of business and find efficiency. @awareseniorcare - (cont) SoMe provides avenue of real-time feedback in patient care; need to leverage to make care better, personalized. @ericdemers - Providers need to enhance patient care and grow revenue, while also improving cost, risk management, and outcomes. @carey_smith - Info is often transferred from one record to another via paper records that are scanned or transcribed in other forms. @verbalcare - Patients need to regain control over their care and their #data, and that will help satisfaction and profit grow. @awareseniorcare - @Carey_Smith Records need to be more fluid and easily accessible; cut down on time/cost. Antiquated system. 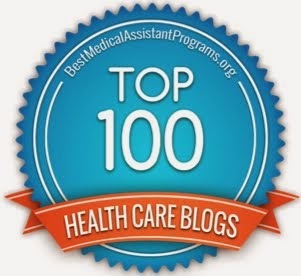 @carey_smith - There are often different EHR systems used for home care, physician’s offices, emergency medicine, and acute care. @rtoleti - If #providers too busy to manage a #CRM, Who is going to do it? Topic #6: What data and information does a #CRM provide that isn't already accessible in an EHR? @ericdemers - Communication w/ patients before and after their encounters with the system are paramount in a value-based system. @ericdemers - Automated alerts remind providesr to contact their members based on new data, or the absence of data (glucose reading). @awareseniorcare - Patient much more involved in the CRM process; EHR mostly under the direction of HCP/DRs/etc. @ericdemers - A CRM can integrate multiple sources of information across the organization and report it in a single pane. @ericdemers - CRM has more storage and scalability, adding flexibility and increased access to doctors and other providers. @visionwaremdm - is #CRM enough on it's own? Gartner suggests 40% of #CRM customers will demand #MDM capabilities by 2018. @steven_paul - @drkdhoffman Social networks and smartphones are the in. The obstacle is the stickiness. #healthcare needs a Candy Crush. @ericdemers - CRM can transform the data into useable and actionable information. @drkdhoffman - Question: Are #providers too busy to manage a #CRM? Who is going to do it? @rtoleti - @Steven_Paul Smartphones are a great option. 98% of people open text messages within 3 minutes. Topic #7: Can a #CRM help empower patients to become more involved with their care? @ericdemers - CRM enables consumers to be more involved in their health journey & to take responsibility for their own health. @drkdhoffman - Another question with that: How does a #CRM influence #patient #engagement rates? @carey_smith - Understanding each patient as an individual is how healthcare providers can provide information that is unique to them. @ericdemers - A significant part of self-care and prevention is education. It must be personalized not generic. CRM can help. @awareseniorcare - Yes. It provides a way for PT to directly interact with care team, share info relevant to their treatment. @drkdhoffman - Absolutely! #Personalization makes it #relevant...important! @carey_smith - Once fully implemented, the CRM will provide efficiencies @drkdhoffman. Save time and money. Topic #8: How do you manage quality-based outcomes and allow patients to own their health care relationships? @ericdemers - CRM offers members a way to interact directly with their care team & access info their providers have made available. @ericdemers - With bidirectional messaging and data flow, CRM enables information sharing and communication. @carey_smith - CRM allows for 1:1 interaction, personalized car plans and info sharing, etc @drkdhoffman. @carey_smith - Employees and patient facing apps are easily built and managed within the CRM. @drkdhoffman - @ericdemers Over communicating can be a work flow grind. Topic #9: How can choosing the right tech solution allow for ongoing evolution to address other needs within the organization? @visionwaremdm - still unclear how #CRM alone will impact duplicate & discrepancies - #governance and "dirty data" are rampant in #HealthIT. @ericdemers - CRM is not just about technology - it's about people and process supported by technology. @carey_smith - A fully implemented CRM strategy can boost efficiencies, lower costs, and grow market share. @ericdemers - CRM's, such as @Salesforce, offer a scalable solution for healthcare organizations. @awareseniorcare - It's all about getting the PT the right quality of care; tech could possibly cut down on time/cost/labor. @rtoleti - #CareNotify is being used to engage patients on mobile and help providers meet #MU2. Topic #10: How is data security and privacy handled with a #CRM? @nextwaveconnect - Key is to work w/ a healthcare-specific partner when choosing & implementing CRM. Can address workflow, legacy systems. etc. @carey_smith - . 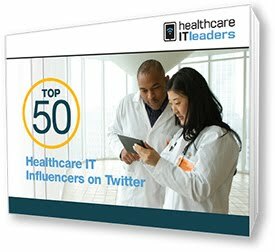 @Salesforce delivers scale, security, compliance and social in healthcare. @ericdemers - @Salesforce Shield is geared toward companies with compliance, governance, and regulatory requirements. @drkdhoffman - Multiple users need to have different security roles based on what they are using the CRM for. 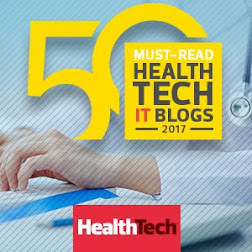 @ericdemers - The healthcare industry demands high security and privacy to safeguard sensitive, insightful customer data. 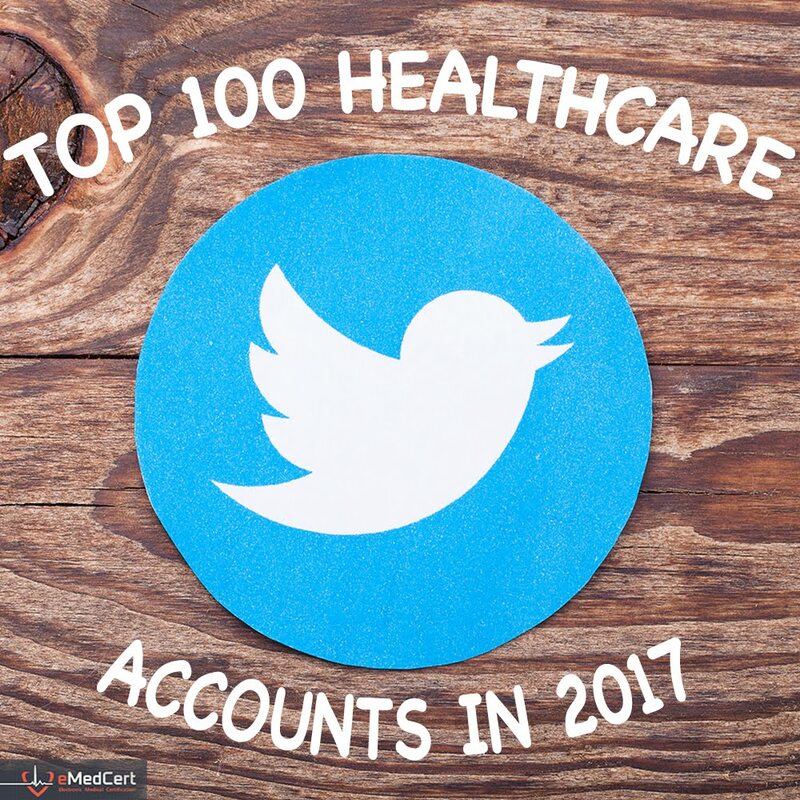 @ericdemers - Thank you @EricDemers for partnering with us and providing your insight in today's #HealthcareChat. Any closing thoughts? @nextwaveconnect - Educational #CRM chatter today in the #healthcareChat. Big thank you to @ericdemers and @accreon for providing such a detailed dive. Informative article. Helped a lot as I used it to train the students in my Salesforce training institutes in Chennai for my students. Thank you, keep writing.